Millwall FC are ‘notorious for being the toughest and most violent set of football fans in England’. Seems scary. I don’t like football so this isn’t my opinion, just research from ‘The foodbankers‘. The concept for their blog is a a very topical idea (content about foodbanks in London), run by postgraduate journalism students at City University; Rachel Bayne, Tom Knowles, Charlotte Rettie and Henry Vane. In 2009 there were 6 foodbanks feeding 400 people in the capital. Figures from the leading food bank charity, the Trussell Trust, reveal there are 325 foodbanks nationwide now feeding 340,000 (40 in the capital feeding 34,000). Foodbanks were set up to help those who were poorest in the community but they’re not to serve as an extra arm of the government, which it seems they now are. Peckham foodbank’s co-ordinator Felicia Boshorin feels a change to benefits is the biggest reason for people suddenly needing to rely on food banks, the Foodbankers report. Often people have switched from Employment and Support Allowance to Jobseeker’s allowance, and will have up to four weeks when one set of benefits has stopped and money from the new allowance has yet to come through. They are unlikely to have any savings to get them through that period. Rising costs of food and fuel combined with static income, high unemployment as well as benefit changes are causing more and more people to come to foodbanks for help. Millwall are an unlikely supporter of foodbanks with their reputation, however they’re THE only football club foodbank. Their supporters bring food items to matches and it’s then delivered to Peckham foodbank providing extra support amongst a cash strapped local authority. Well done Millwall! Maybe more public mass scale events should start doing this, the O2 springs to mind. A few months ago I went to a Responsible Business event at the Design Centre in Islington. I met some great people and one of those was Theresa, who’s the CEO and Co-Founder of Buzzbnk, who’s an amazing lady. From this event I checked out their site to see what it was all about. Essentially it’s a great way to help communities and projects which you may be interested in supporting. Buzzbnk is one of the first crowd funding platforms in the UK but they’re unique as they specifically support social enterprises, co-ops and charities. In February, they received a £50k investment from the Innovation in Giving Fund, managed by Nesta. The fund backs innovative ideas for increasing volunteering and charitable giving. Through the Buzzbnk site I saw the Hackney Pirates venture and pledged some money – £100 as it’s something I’ve been looking to get involved in for years. I was invited to the Hackney Pirates t-shirt launch event and got to meet the kids. It’s such a good way to donate money, to something you feel passionate about. It really does create a two-way process and as Buzzbnk describes ‘that allows them to feel invested in your project and for you to forge strong links with your community.’ It’s more than just giving, it’s co-venturing. 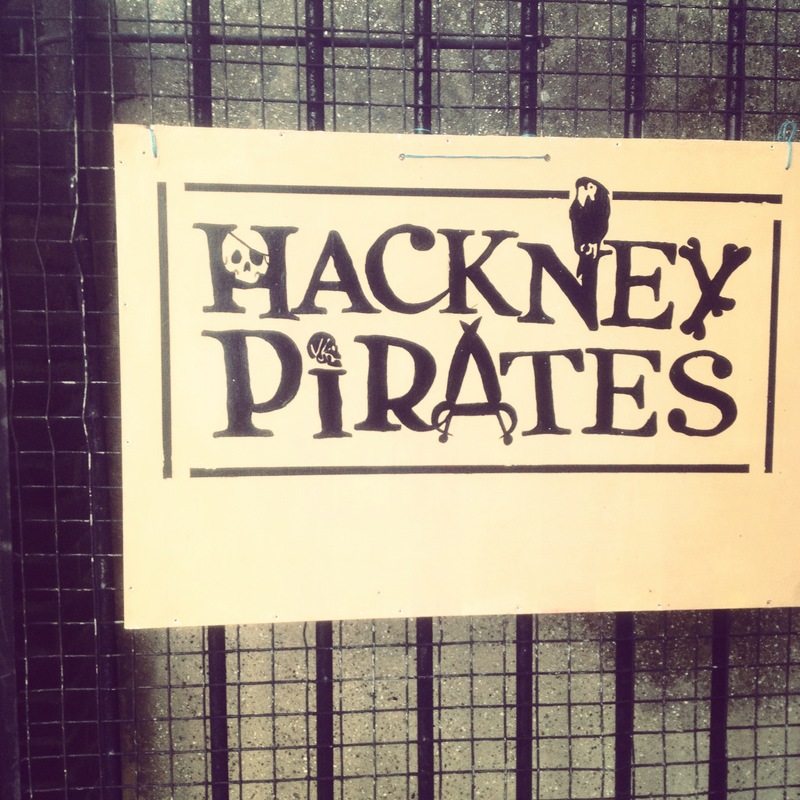 I’m now volunteering with Hackney Pirates and look forward to working with them in the future and helping as much as I can. A big thanks to Buzzbnk for ‘introducing’ me. If you’ve been looking for a new way to do good you know where to go.